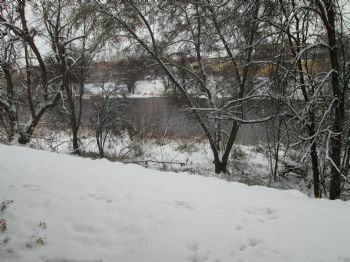 Our backyard this morning - and the thermometer says 22 - so just a bit on the chilly side!! A good day to stay in and do some baking!! 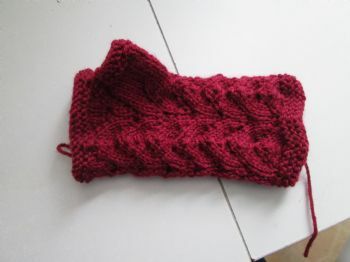 Just finished the first fingerless glove for Daughter, Kathi. Made a pair for her a couple of years ago, but they were a bit too bit - she has such small hands. The gloves are lovely! i see a lot of those fingerless gloves around and they look like they'd be very useful. Oh WOW!!! Love the view!!! I had the same temperature this morning, but no white stuff. Love the glove!